Hi! 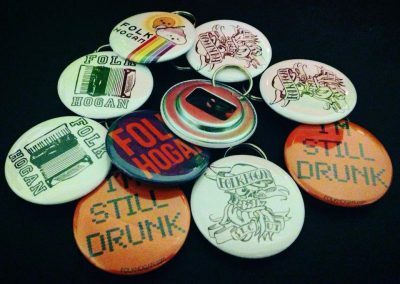 I’ve been making pinback button products for over 4 years now (woo!) 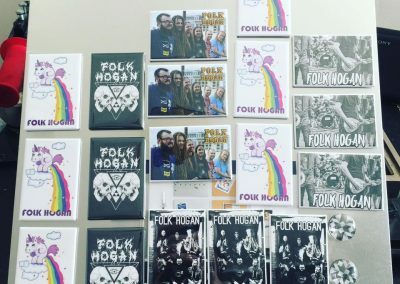 and it all started with me buying the 1″ press for my band Folk Hogan. 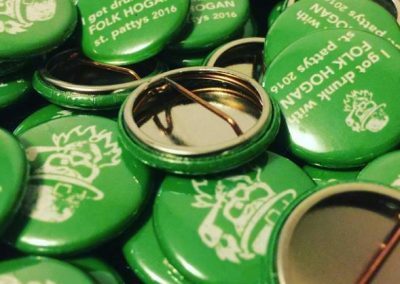 We were playing a show with a punk band and I was watching their fans go crazy for their 1″ pins, paying $1 or $2 each for them while they were playing I thought to myself “how much could those pins really cost to make” and “I need some of these for my band” was what started this all. 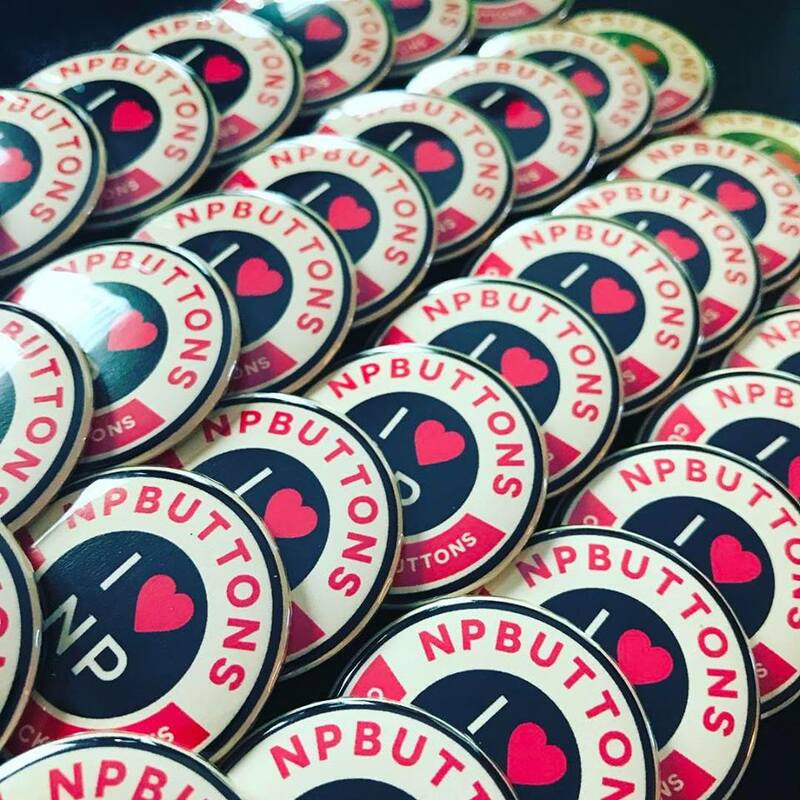 Then I started making pins for my friends bands and npbuttons.com and the rest is history. 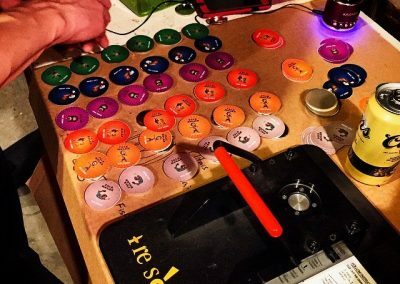 But with all this access to the various options of different sized parts and presses you may want to know how I’m using my own button products, don’t worry I’m going to tell you. 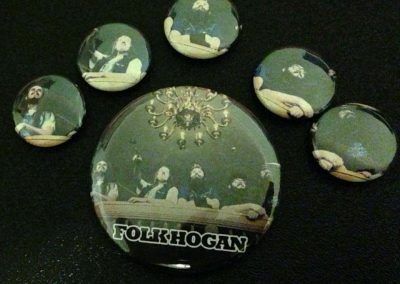 I’ve been making pins for 3 main sources – Folk Hogan, Nick Passey Music, and npButtons. Here is an outline of what I’ve been doing for each. 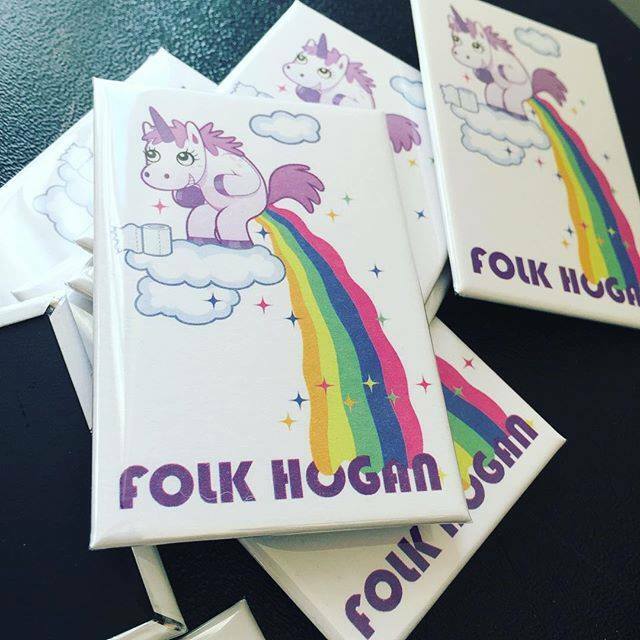 As long as I’ve had button makers at my disposal, Folk Hogan has been making all kind of pins, bottle openrs, and magnets for different events and merch packs. 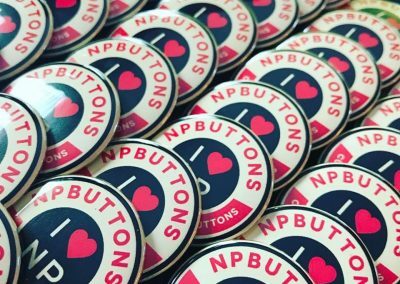 We are changing up our offerings which is easy to do since I have a no min qty for all button orders. 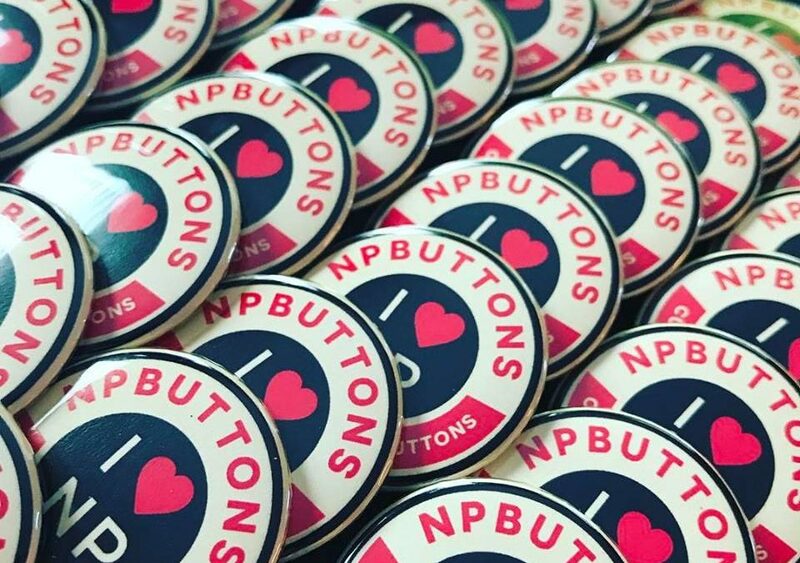 We’ve offered various button packs and given away thousands of pins for free. We use them to build our email list by offering them for free with email list signup. 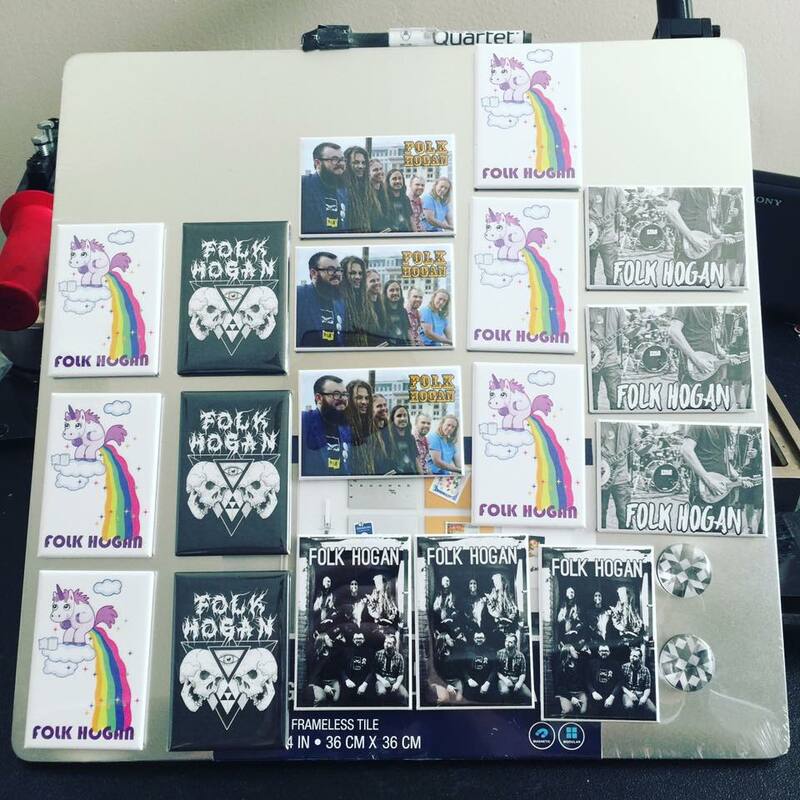 The fridge magnets do really well at all ages events. I often see parents giving there kids a few dollars to run up to the booth and grab a fridge magnet. Events like festivals and farmers markets they sell really well. As far as the bottle openers go, they do really well at bars and events with drinking crowds. 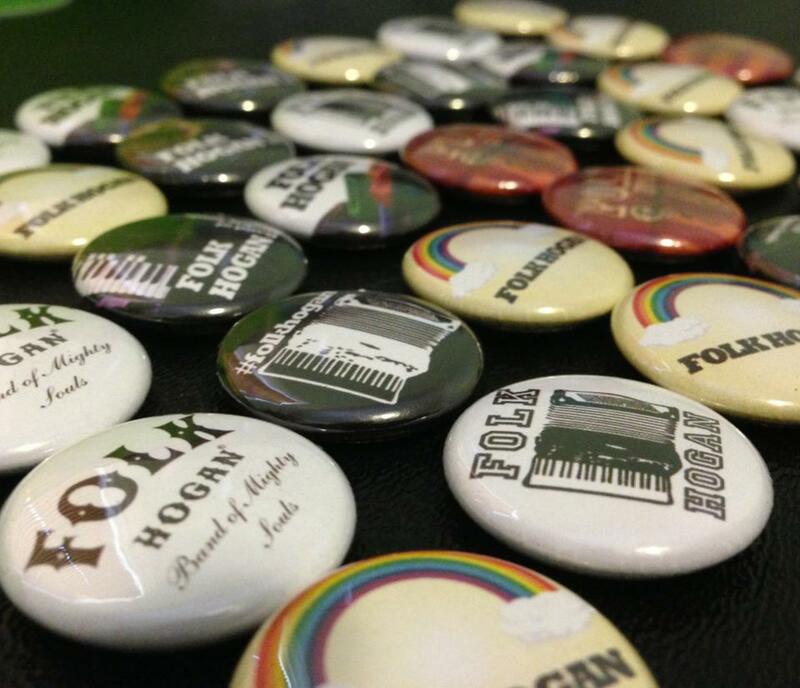 They are often a special giveaway type items for contests we do on stage and we hand them out to bar tenders that we meet. 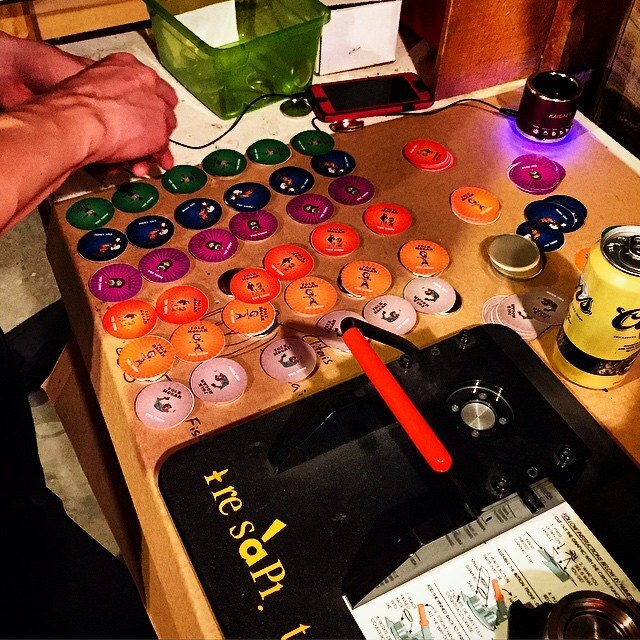 Put some magnets on that naked fridge of yours. 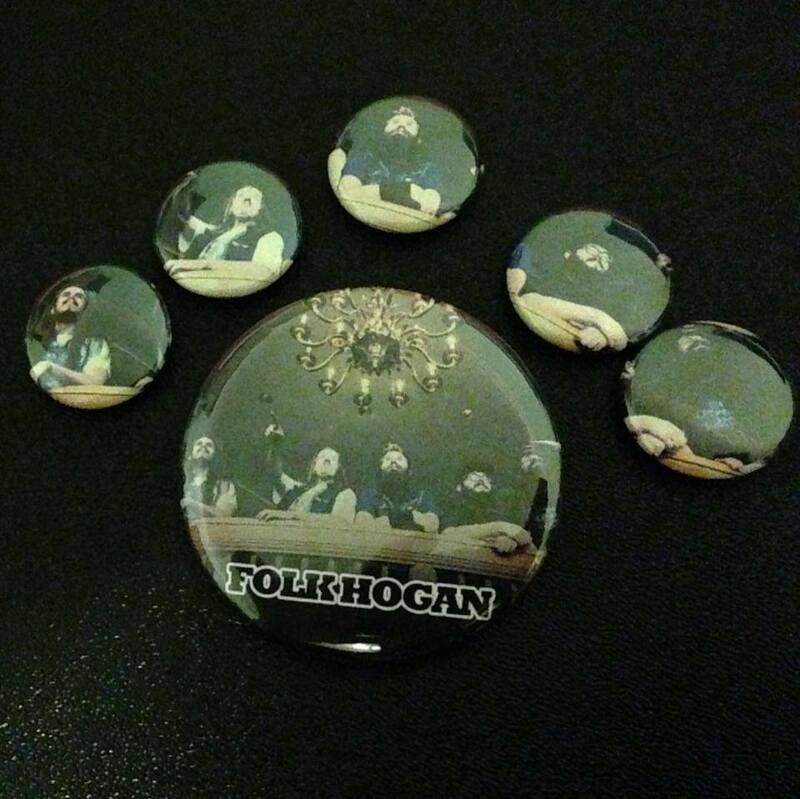 I included a pins and a fridge magnet for all of my product bundles when I released the album. 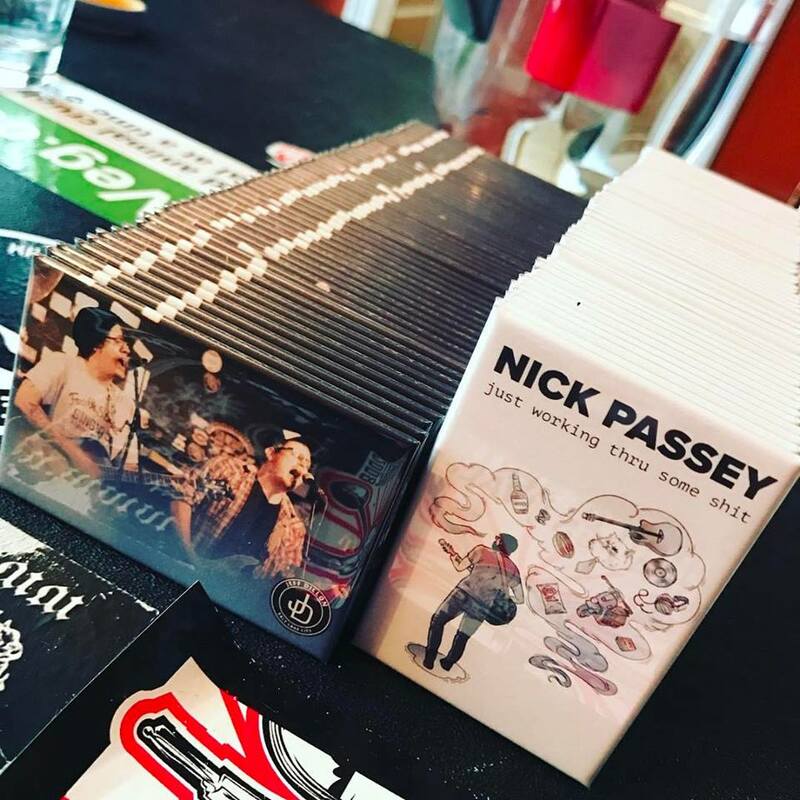 The product bundles were essential in increasing my overall transaction amount most people purchased my $35 bundle for the album release which really helped absorb some of the expense related to recording and production. The fridge magnets also come in a “download card” form with a download link on the back of the magnet. 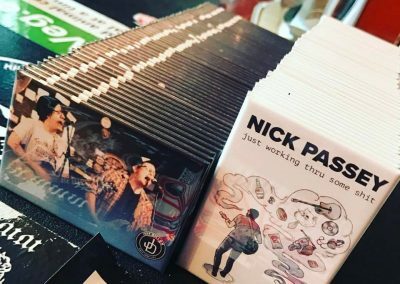 I didn’t make a ton of them because most people are still comfortable and familiar with the idea of buying a CD even though many of us don’t have CD drives anymore. 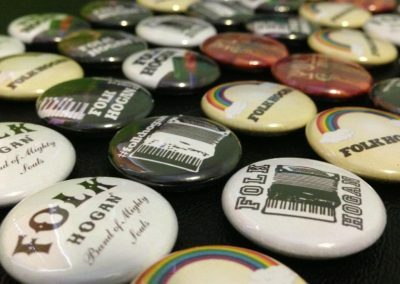 I’ve used the pins to connect with disconnected crowds and walked around and talked to everyone at recent shows. It gets people engaged and has lead to some increased sales. 100% of my orders are word of mouth. 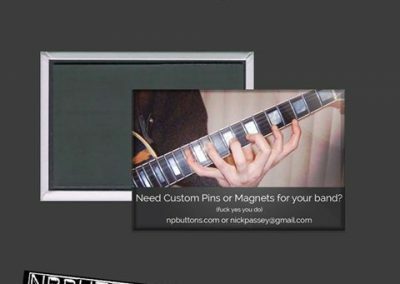 I don’t run any paid ads in magazines, or on the web. 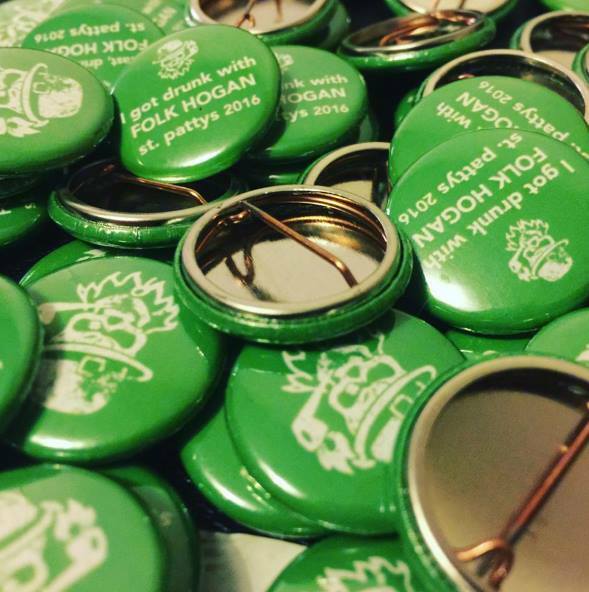 So giving out free swag is paramount in increasing orders. 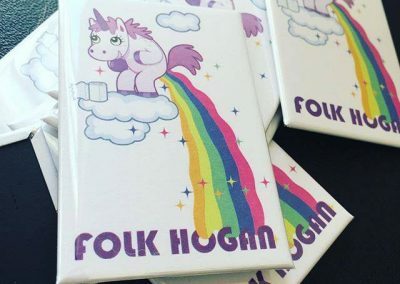 I’m now including a 1.5″ magnet and a 1.5″ pin with each order. I label each box with a sticker now since the majority of the people I’m making pins for keep them in that packaging when they are at shows and events. 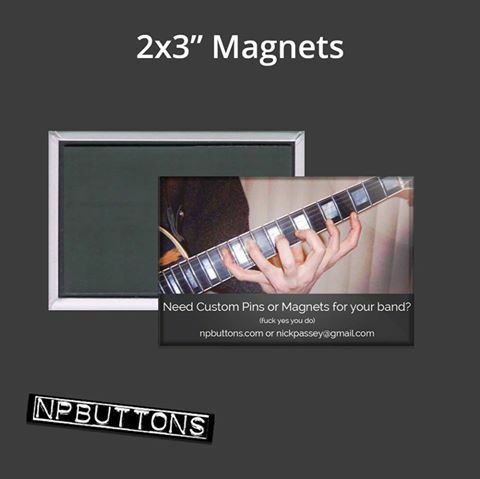 I’ve also “flyered” the downtown rehearsal spaces with magnets in an effort to generate more orders and connect with new bands I don’t see on a weekly basis. It has lead to a few – but – very loyal customers. The button makers children have shoes!! !